Although many of the guests you’ll meet at a fishing lodge in Montana have come on a fly fishing trip, the rivers in the Treasure State are also wonderful for other types of angling. Float-fishing is a method particularly suited to new fisherman, since its techniques are not as difficult to master as those of fly fishing. Using the float-fishing tips below, you will have enough knowledge to enjoy a beautiful trip to a fishing lodge. 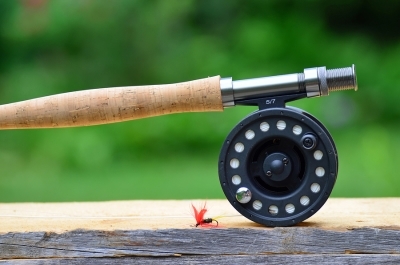 Float fishing requires the four common pieces of equipment that all types of angling use: a fishing rod, a reel, a spool of good fishing line, and a hook. Most fisherman will bring extra supplies with them in a tackle box. Unlike fly fishing, which uses light, hand-tied “flies” to lure fish into biting, float fishing can make use of different types of lures or even live bait. To go float fishing on a Montana river, you should still bring a pair of waders, a pair of polarized sunglasses, and a hat to keep the sun out of your eyes. The float is attached to the line above the hook. Floats allow you to track the progress of the line in the river current, and also alert you when you have a bite from a fish. They come in a variety of shapes and sizes, appropriate for different bodies of water. For fishing on the wide rivers of Montana, you should use what is called a “bodied” float. Bodied floats are simply floats that are not straight. They most often have teardrop or egg shapes. To properly weight the float, you need to use shot. Only the very tip of the float should be visible above the surface of the water. The basic technique of float fishing is called “long trolling.” This consists of letting the float meander with the current, and mending the line to keep it free of loops. Unlike fly fishing, you don’t have to cast very far in order to float.